Around the beginning of the year, Puma presented their latest big launch, with Cesc Fabregas, Marco Reus and Mario Balotelli, among others, where put in the forefront. 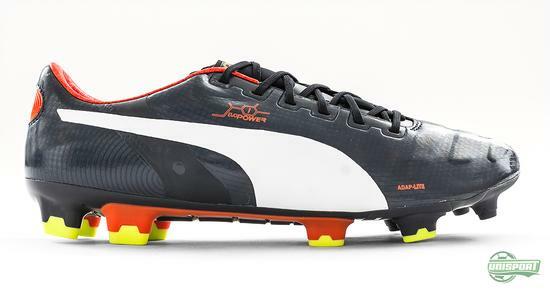 Puma evoPOWER is the name, and the boots is targeted at the player who loves to strike the ball with power. This has resulted in a number of different colourways and even a leather version. Come along, and let's take a closer look. It was on a cold and dark day in January, that Puma gathered some of the world's best footballers in order to present their new silo, the Puma evoPOWER. 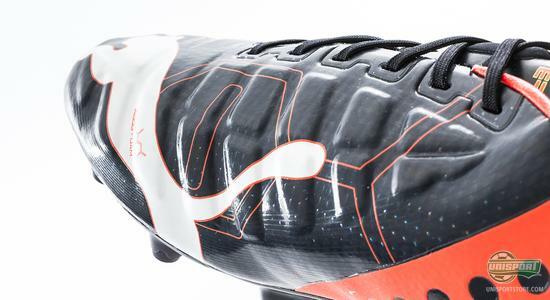 It was a highly anticipated football boot, as Puma had been teasing it for about a month. And what better way to do this, then using their brand new member of the Puma family: Mario Balotelli. Puma evoPOWER Stampa was the name of the initial boot, and was worn by Mario Balotelli in the clash between AC Milan ans AS Roma on the 16th of December in 2013. A model that was only produced in 6 pairs worldwide – but more about that in a bit. 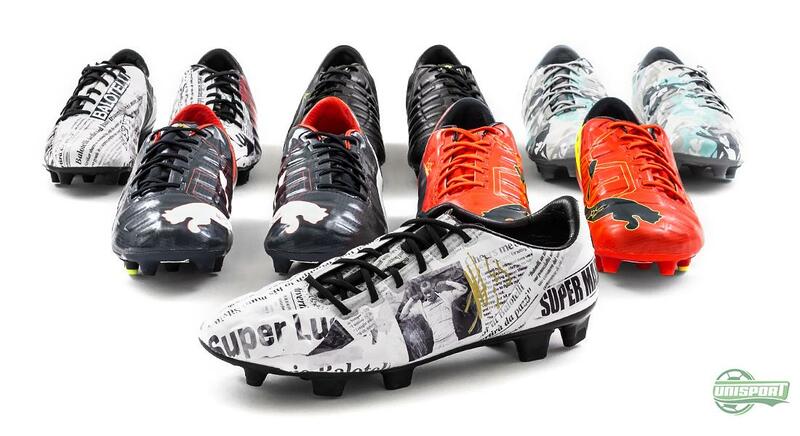 Puma also unleashed a modified version in just 250 pairs to the world. 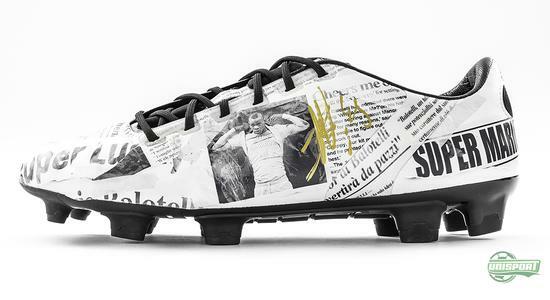 This model was worn by Super Mario himself in the Milan derby just a week after he had been spotted in his own celebratory boot. 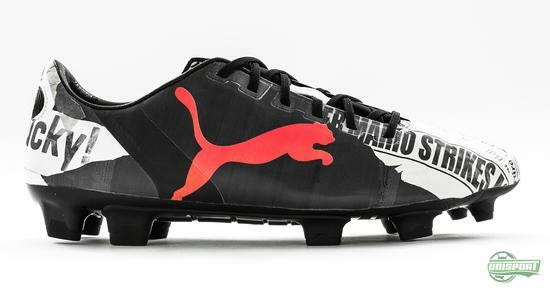 For this model, Puma had changed the lateral side of the boot to say “Why Always Puma?”. But this boot would later show to just be the beginning of a journey that Puma had initiated for their new silo. And just as we thought that the 'teasing' was over; just 6 into the new year, Puma released yet another 'teaser-boot'. 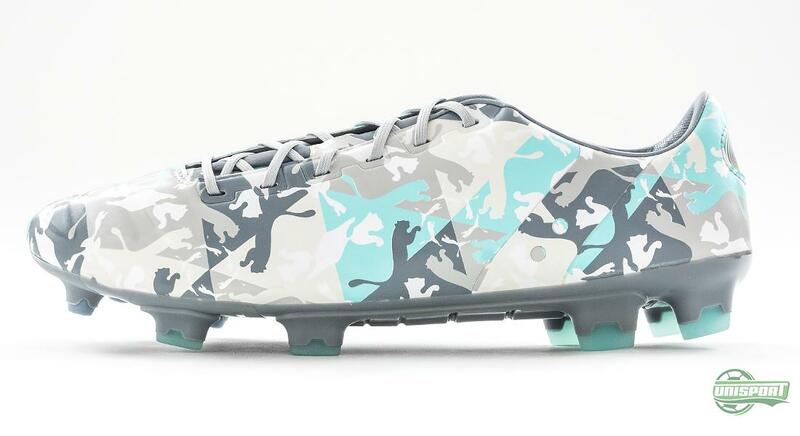 The Puma evoPOWER Camo would become the first 'regular' evoPOWER boot. 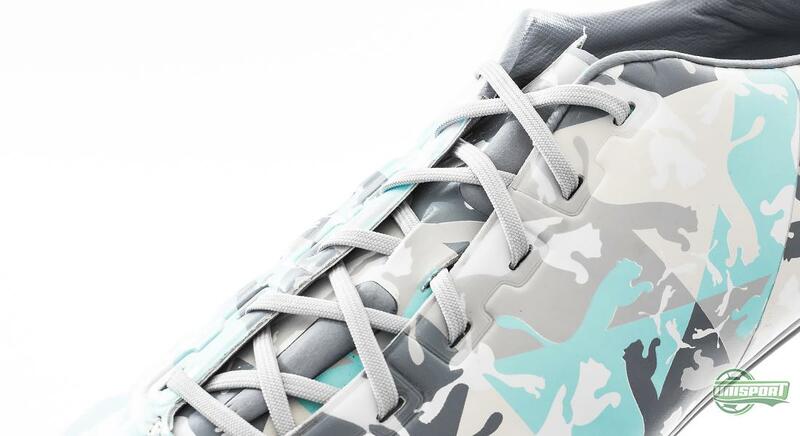 But in order to hide the many technologies that the new evoPOWER included, Puma had chosen a very interesting camouflage design. Naturally, Balotelli joined in on the camouflage version, but joining him, was now also Fabregas and Reus, who was also spotted wearing the new evoPOWER. And then the big day came, the launch of the “actual” Puma evoPOWER. With the Fluro Peach/Ombre Blue/Fluro Yellow colourway, the evoPOWER was presented as the football boot that would help the player by facilitating a more powerful strike. Since then, another colourway has been added to the new Puma silo with the Ombre Blue/White/Fluro Peach design. 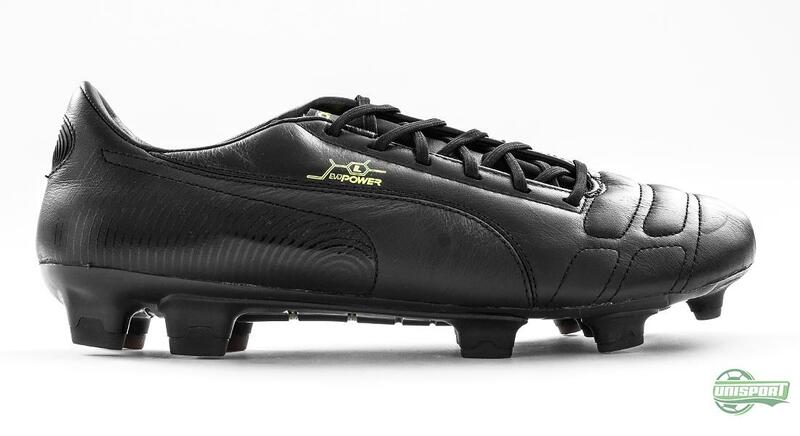 Puma are known to enjoy playing with our emotions and have also recently put out a full blackout leather version of the evoPOWER. 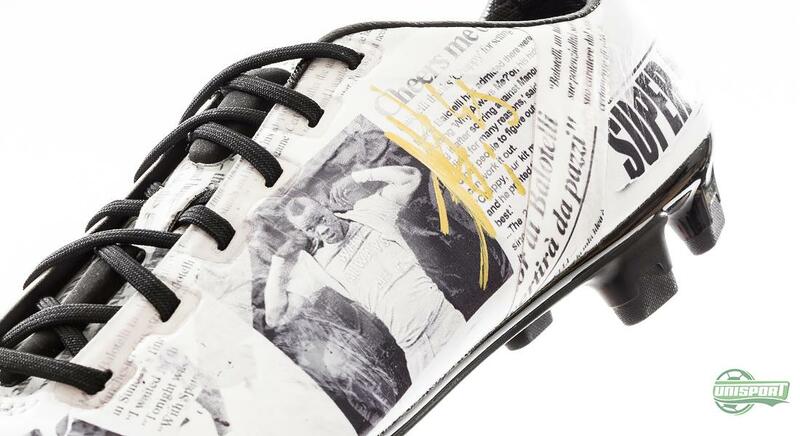 And then, just about a week ago, Puma managed to take our breath away once again as we received Balotelli's extremely limited version of the evoPOWER Stampa. Just 6 pairs have been unleashed upon the world, and we were fortunate enough to receive this one, with a nice little golden signing from Super Mario himself. But what is this silo actually based on? What has been put into this football boot, that no other football boot has? Let's dig into the technological capabilities of this boot. The evoPOWER was created with the anatomical movements of the foot as the primary source of inspiration. The Puma researchers found out that the true power of a strike comes from the foot itself, and not the football boot. Therefore, the research team looked at how the foot actually moves in the moment of the strike. The most interesting feature of the evoPOWER may therefore be the GSF sole, which stands for Gradual Stability Frame. This sole allows the foot to bend both upwards and downwards. The result is a freedom of movement that you do not find in any other football boot. In addition, they also looked at the instep of the foot and found out that, by adding some cushioning on the upper, they could even out the uneven area created by the bony texture of the foot. Puma went with the logical name Accufoam for this cushioning. 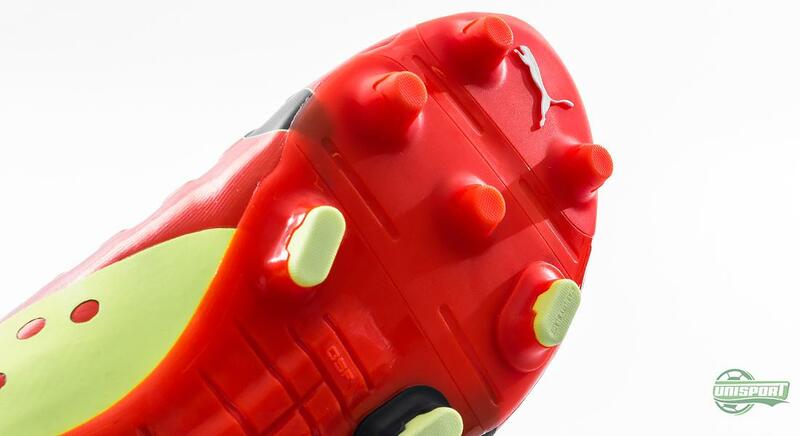 Hereby, Puma could not only create a more powerful strike, but also a boot with greater precision. Another important element in the boot is upper material. It is a specially flexible material and allows the boot to provide a significant flexibility when the foot is stretched, yet just as great flexibility in connection with quick twists and turns. The upper is called AdapLite and is a specially soft microfibre material. It is, although, not everybody who are into the modern microfibre material. And therefore, Puma have decided to meet this audience, and make a leather version. And except from the different upper material, this leather version is is actually exactly the same as its microfibre brothers. 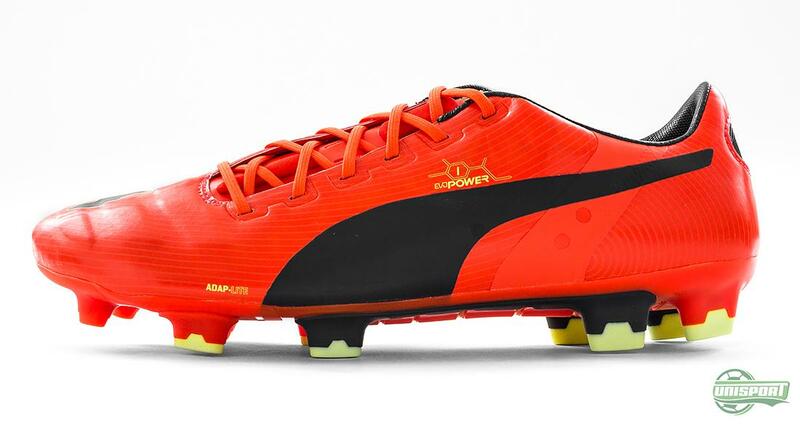 Just as it is the case with the other boots, Puma have have also equipped the lateral side with the Everfitcage-EXT, which we also know from the Puma evoSPEED. This technology serves to provide the boot with the stability and comfort required in order to give the lush snug fit. 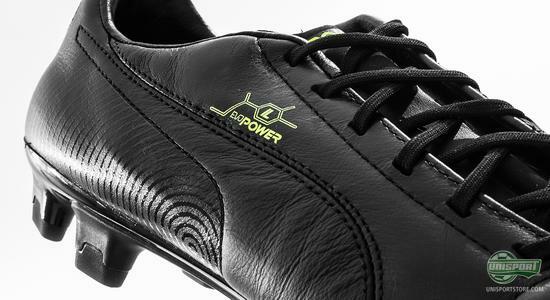 The current six evoPOWER boots have very much served to establish a football boot that we certainly have not seen the last of. And Puma have not been quite about putting out their new silo. 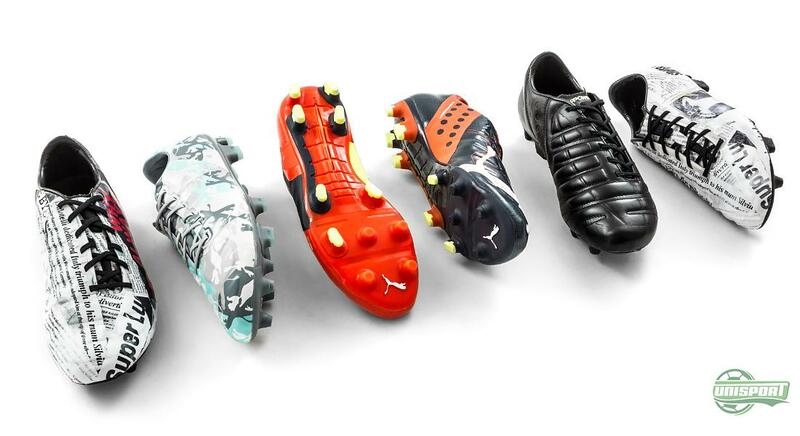 No less than four of the the six colourways have been made in limited quantities across the globe, and it is clear that Puma are aiming to create an exclusive feel to the evoPOWER collection. It will surely be exciting to see what their next move will be. 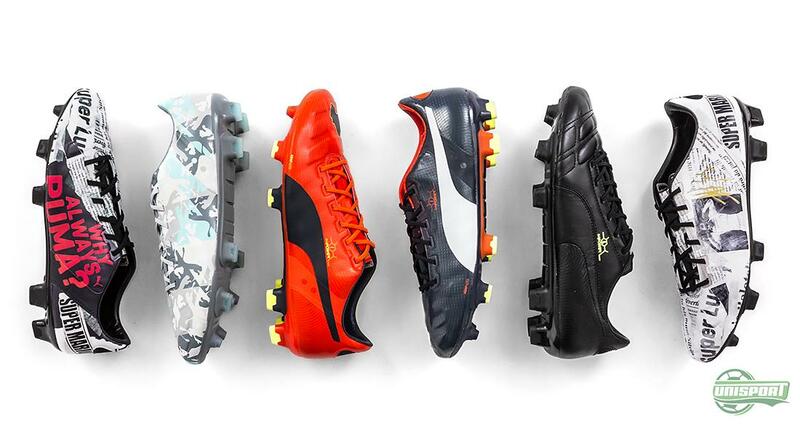 But what are your thoughts on the evoPOWER collection? And which of the six colourways is your personal favourite? Take your football passion to a social level and share your comments on Facebook or Twitter.